Detective Inspector James Quill is about to complete the drugs bust of his career. Then his prize suspect, Rob Toshack, is murdered in custody. Furious, Quill pursues the investigation, co-opting intelligence analyst Lisa Ross and undercover cops Costain and Sefton. But nothing about Toshack’s murder is normal. Toshack had struck a bargain with a vindictive entity, whose occult powers kept Toshack one step ahead of the law - until his luck ran out. Now, the team must find a 'suspect' who can bend space and time and alter memory itself. And they will kill again. OhMy! My Face Hurts from Laughter! The Price family has spent generations studying the monsters of the world, working to protect them from humanity - and humanity from them. Enter Verity Price. Despite being trained from birth as a cryptozoologist, she'd rather dance a tango than tangle with a demon, and is spending a year in Manhattan while she pursues her career in professional ballroom dance. Sounds pretty simple, right? Monster hunting and ballroom dancing...who knew? Kai and Caleb Goodacre have been kidnapped just as rumors of a cult sweeping across the reservation leads Maggie and Hastiin to investigate an outpost, and what they find there will challenge everything they’ve come to know in this action-packed sequel to Trail of Lightning. It’s been four weeks since the bloody showdown, and Maggie Hoskie, Diné monster hunter, is trying to make the best of things. Only her latest bounty hunt has gone sideways, she’s lost her only friend, Kai Arviso, and she’s somehow found herself responsible for a girl with a strange clan power. Where the Marble Arch stands today in London was once the Tyburn gallows - also known as The Hanging Tree. The walk toward those gallows along Oxford Street and past the Mayfair mansions has a bloody and haunted history as the last trip of the condemned. Some things never change. For both blood and ghosts have returned to those mansions of the super-rich. And it's up to Peter Grant - England's last wizard and the Metropolitan Police's reluctant investigator of all things supernatural - to get to the bottom of the sinister doings. If you are a fan of the Peter Grant books you have likely been tapping your toes and pacing back and forth waiting for the powers that be to release the latest book in this terrific series. Wait no longer…it’s finally out, buy it and enjoy. If you aren’t already a follower you would be better to start with Midnight Riot and work forwards…rather than start here. This book does stand-alone…but if you have followed the threads developed in the earlier books you will get more out of this one. Hanging Tree is the usual mixture of “Magic as Science” plot brilliance and some pretty sharp social commentary. It's a very UK book. I’m a native Brit and even I find myself caught on some of the London vernacular and UK police procedural language…I’m still not 100% clear on what a “caution plus two” is. Each of the earlier books in this series develops a separate plot line with some over lapping characters in common. 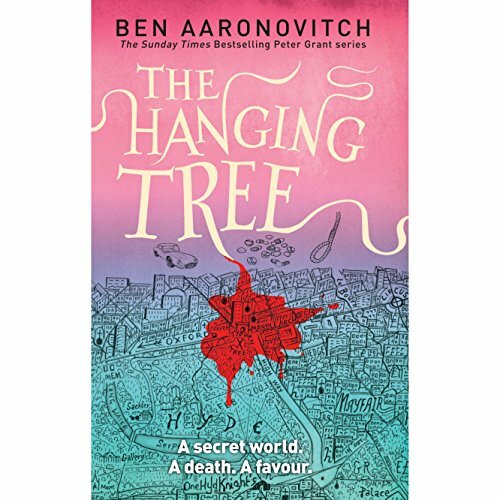 In this book Aaronovitch has taken the greatest hits/characters of the first five novels and woven them into this new book. That can be a little confusing especially if you haven’t followed the earlier books. In addition to Peter and the usual suspects on the London police force Leslie is back (face restored) as is Mr. Punch, the Faceless Man, the FBI and of course as many of the various river gods as you have an appetite for. I won’t spoil the plot, there’s lots going on, some terrific action sequences and as much wry humor as usual. Perhaps there’s a little too much going on in some spots…but it’s all such terrific fun it’s a good problem to have. I would be remiss if I didn’t give props to the brilliant performance Holdbrook-Smith delivers. His voices and accents are the perfect complement to this terrific listen. Let’s hope we don’t have to wait quite as long for the next episode. 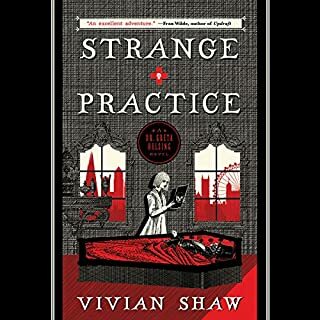 I gave this five stars because I love this series set in a London where magic works and the mundane police are reluctantly coming to accept that it is coming back into prominence. Because I am writing this a fan, you have to accept that there are things I like about this book which may make a non-fan think it is four stars or below. Because this is the 6th book in the series it is loaded with references to previous books. Be warned. I would suggest listening the first books before tackling this one. I listened to the book twice after it turned up in my library. The first time was for the story and the fabulous narration by Kobna Holdbrook-Smith. Peter is back in London and pursuing the Faceless Man, helped and hampered by new and old friends and enemies. A lot of characters from earlier books in the series make appearances, some brief, others more substantial. It may be ok as a stand alone novel, but I'm a bit dubious. The second time I listened to it was to catch any pop references that I might have missed. Aaronovitch has written for the Doctor Who franchise, so those references are no surprise, but there are a whole lot more, including a nod to Phil Rickman. Recommended for those who like this sort of fiction. Missing the jazz music chapter intros? What did you love best about The Hanging Tree? 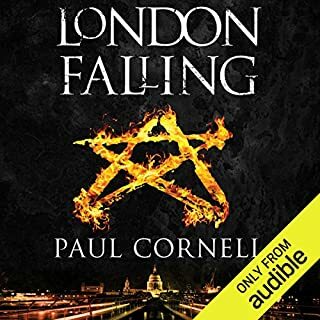 The sixth book in the series brings us a better understanding of Lady Tyburn, and sends us on a collision course with the Faceless Man and Lesley. Peter remains a delight. And Guleed is growing on me. She's become quite brave. What about Kobna Holdbrook-Smith’s performance did you like? What happened to the jazz? I got used to the musical intros to each chapter and they were sorely missed. After architecture, jazz is one of the iconic characteristics of Peter Grant! I don't know how, but I keep forgetting just how amazing an exceptionally good book is. Good thing The Hanging Tree is around to remind me. You heard me right, this book is good, as in best in the series good. There was a lull where the series got too serious and emo. 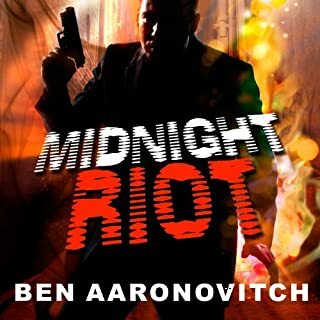 After that Aaronovitch took book 5 to kind of step away and get back on track. So, this book is that back on track that we all wanted. Grant is back with his snarky mouth that would make Deadpool green with envy. Seriously, I think every character in the series has to remind him that his mouth keeps getting him in trouble. Grant is also back with pop and nerd culture references, the humor (I guess it should be humour for this Brit book), and applying science to magic to the eternal chagrin of Nightingale. Also in this book is two or three good steps forward in the overall plot. And that's all you get, any more and I will surely spoil something. So, if you are reading review, it probably means you've read some of the rest of the series. Pick up this book - right now - I strongly recommend it. Of special note, this series as a whole has become one that I just blanket recommend to everyone. otherwise, excellent as always. looking forward to finishing up the series, and more installments to come. Ben Aaronovitch has joined the ranks amongst my favorites, & did so stealthily, while I wasn’t looking. Love his characters, AND story, and most especially, his wit. Plus, as a side bonus, he doesn’t waste pages in his books re-hashing what happened in one of his previous novels, a common trait these days in many series. One more reason to love Mr A. And if ever a narrator brought a series to life with such distinction, it is Kobna Holbrook-Smith. Absolutely stellar performances throughout the series. Anyone who has made it this far into the series knows the drill, so no need to rehash things too much. The story picks right up and gets moving fairly quickly. On the one hand we learn some BIG things in this entry. On the other, they're either relegated to the final chapter or two of the book (leaving it open for exploration in a future entry) or just not really treated with the gravity that they should be (in my opinion of course). Book 6 is better than book 5, as there is more action and a tad more story progression, however I'm still left wanting more. I'll be hanging on for 7 to see if things really get moving (and if Grant can "level up"). Kobna does an excellent job narrating as always. He's perfect for the series. 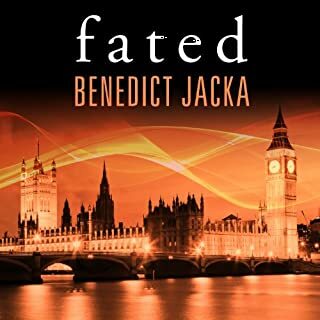 This is my favorite series on Audible because the author has dimensional characters, interesting plot lines, and vivid sensory and action descriptions. The narrator has a large range of character voices that are easily recognizable and doesn't just "read" the lines in front of him but gives thoughtful and meaningful inflections. 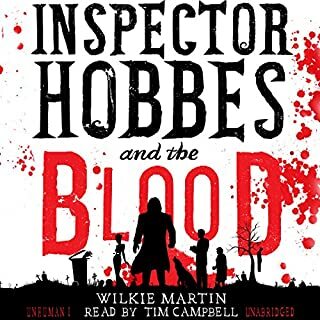 I am baffled why I don't see Holdbrook-Smith doing more narration work, but hope Ben Aaronovitch will be doing books 7,8, 9, 10 and more so quickly that Holdbrook-Smith will be too busy to make other authors' work shine too. 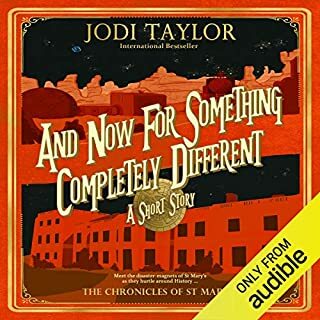 The production must have been outstanding on this audio book because I wasn't distracted at all by any flaws. I'm re-listening to the series before each comes out. And while the last one was great, this is the best yet. And not one of them comes close to the original. Aaronovitch's unhealthy obsession with the Faceless Man as a sort of Voldemort analogous enemy ate the soul of the series and weighs it down like an albatross. In a series that should be so much grander than it is, his barely present villain barely even registers as boring, much less intimidating.